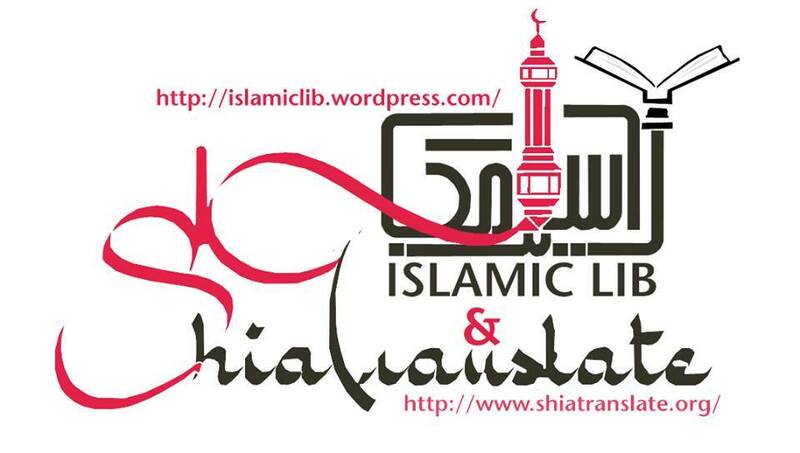 Islamic Library | Shia Islamic PDFs – Now in Collaboration with ShiaTranslate.org! and His Peace and Blessings be upon His Final Messenger, the Holy Prophet Muhammad (sawa) and His Purified Progeny, and may Allah (swt) revoke His Mercy from the enemies and oppressors of His Prophet and His progeny, from now until the end of time. Peace be upon on those who follow the Guidance. We hope that all can benefit from this library and the books found therein, and ask all whom visit for their prayers and suggestions as to how to better enhance their experience, as well as to share this page with family and friends so that the teachings of the Holy Prophet (sawa) and His Ahl al-Bayt (as) may be spread further and the true Islam may be known. Please note: the views and information present in the PDFs do not necessarily reflect the beliefs, opinions or stances of those running the site, nor do we claim that all information found therein is correct and/or authentic. We seek refuge with Allah (swt) from deviation and ask Him to not hold us accountable should there be any error in the presented materials [God forbid]. Any shortcomings are from us and all good is from Allah (swt), the Almighty. We ask readers to be critical and objective when reading, lest they be deviated by wolves in Shi’a clothing. Ensure to refer to the scholar whom you do taqleed to for issues pertaining to Copyrights. And the last of our call is that all praise belongs to Allah, Nourisher of the Worlds, and may His Peace and Blessings be upon His Final Messenger, the Holy Prophet Muhammad (sawa) and his purified progeny, and may Allah (swt) revoke His Mercy from the enemies and oppressors of His Prophet and his progeny, from now until the end of time.